Custom Links are managed by Account Administrators. 1. Click on "Features" and select "Custom Links". 2. 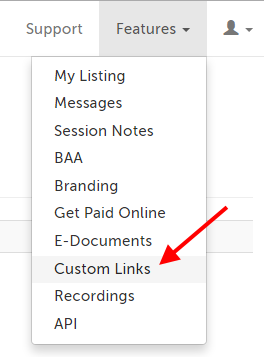 Click on the "New Custom Link" button. 4. In the "Label" field, enter the text you would like to display underneath the button. 5. The option "Show to Users Now?" 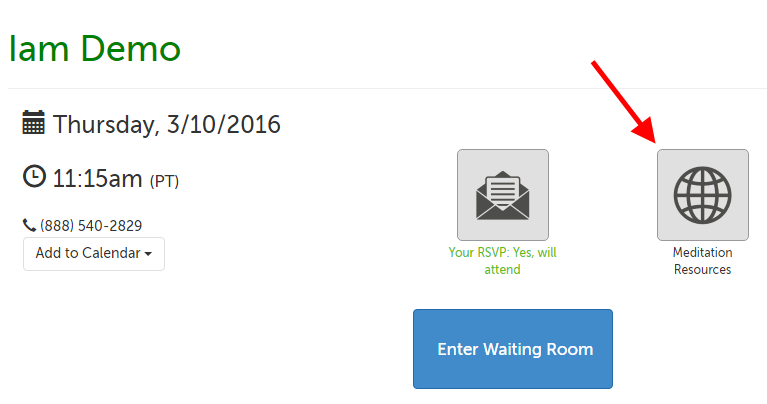 should be set to "Yes" if you would like to make the link visible on your waiting room pages after saving. 6. Click the "Save" button. This article was last reviewed by our Support team on May 6, 2016.